The NUJ has set itself at odds with the publishing in industry by rejecting self-regulation of the press under a reformed Press Complaints Commission in favour of a new independent-regulator enshrined in law along the lines of the Press Council in Irelend. Here head of journalism at Liverpool John Moores University and chair of the NUJ Ethics Council defends the union position. 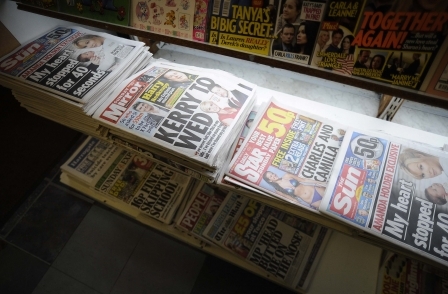 As Leveson prepares to produce his report, those with the most to lose by raising standards within the press are starting their campaign to rubbish his recommendations. Despite almost everyone believing there needs to be an improvement in the regulatory system there are those who cling on to the idea that the PCC was OK really, despite all the evidence that it was not fit for purpose. Those opposed to change have gone on the attack with claims that opponents want state regulation of the press, so it’s worth examining what state regulation is and why are those trying to introduce a stronger regulatory system accused of wanting it? State regulation according to Prof. Tim Luckhurst. is a “constitutional absurdity: parliamentary scrutiny of a body the electorate depends upon to scrutinise parliament”. He goes on to say that statutory underpinning would be a “false compromise” because “Any state involvement in the regulation of newspapers would restrict their capacity to play their historic role as a bulwark of our fundamental freedoms.” Fine sounding rhetoric, but not very helpful as an analysis of what is meant by “state regulation”. After more than 20 years of being told that the present system of regulation is unfit for purpose it should not surprise that many are uncomfortable at having it proved so brutally. 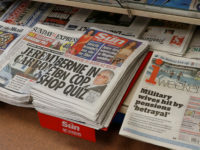 It’s to be expected, even applauded, that they should be suspicious of any attempt to reform for fear it is an unacceptable attack on press freedom, but surely a year of Leveson has shown that the regulation debate is far more nuanced than an attempt to introduce government censorship? If we are to improve standards, then most people believe there needs to be some sort of regulatory body. There are many potential systems starting with self regulatory systems such as the existing (albeit failed) system. Pressbof has proposed a civil law approach to regulation, its major flaw being that there is no way to oblige all the press to join: the so-called Desmond conundrum. There is also self-regulation with statutory rewards; carrots for good behaviour (the Committee for Media Reform proposal is a variant of this). Statutory underpinning of independent regulation is another option. This allows parliament (democratically elected) to decide the extent of regulation, but leaves it to an independent regulator to enforce it with statutory authority to apply its code to publishers of a certain size. State regulation is where parliament would decide the extent of regulation but then leave it to the courts to apply the law. In other words, there would be press tribunals to determine breaches of the laws or codes. No one seems to be calling for this option. Finally there is government regulation in which the government (not parliament, although there would be inevitable parliamentary oversight) played a role in regulating the press, probably by setting up its own regulator to apply codes. When we are thinking about regulation we need to consider what it is we actually want to regulate. The right to free expression as upheld by the press is one of the most important rights we have in the UK alongside the right to life and liberty, but unlike these it cannot be absolute. Opponents of better standards like to suggest that free speech IS absolute and that any curtailment means the end of free speech. But freedom of expression has always been bounded by restrictions in order to protect other human rights or to prevent harm. The key is to allow as much freedom as is concomitant with the rights of others balanced by the public interest. The right to trade freely is also an important right, but it is one that is much more heavily regulated by statute in order to protect people from harm. If you sell goods, there are laws to ensure fair competition, to protect people from harm and ensure they are sold what they think they are buying. When people are buying newspapers, it is difficult to understand why they should not receive the same protection. 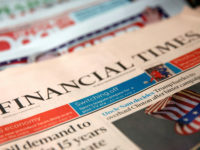 Newspapers and magazines are produced as commercial operations designed to make profits for their shareholder but if I buy one, I expect the news to be reasonably accurate, gathered ethically and a fair selection of the day’s important events. If I don’t get reasonable standards, why can I not complain? Those who say free expression is more important than those standards not only make it clear they don’t understand free expression, but should also remind themselves that a free press is no longer the only route for free expression; the internet has a massive role to play in allowing us all to have our say in today’s world. Whilst those who believe the press has a major role in holding those in power to account, they often over-estimate the damage regulation would do to such journalism and underestimate the improvement in newspaper standards that stronger regulation would bring. Strong regulation should bring higher standards which should bring better journalism. Concerns that stronger regulation would bring more interference are simply not supported by evidence. In 20 years of the PCC and more than 30 years of the Press Council before it not one complaint was made about any newspaper or magazine exposing malpractice by those in power. All the serious complaints made to both bodies concerned issues such as newspapers lying, intruding on privacy or presenting a highly prejudiced, unfair and often false view of certain sections of society. In most cases the PCC and the PC before it, ignored the complaints either by saying it was in the public interest or, in the case of the PCC, by saying it didn’t accept third party complaints. We need firmer regulation from a body that is there to protect press freedom, press standards and ethics by listening to the public. This does not mean state regulation of the sort Luckhurst fears but an independent regulator that upholds press freedom, represents the concerns of the public and holds newspapers that abuse their power to account. Now what’s wrong with that?